If two or more RingOver numbers have been assigned to you, you may choose which number you wish to use for making calls. 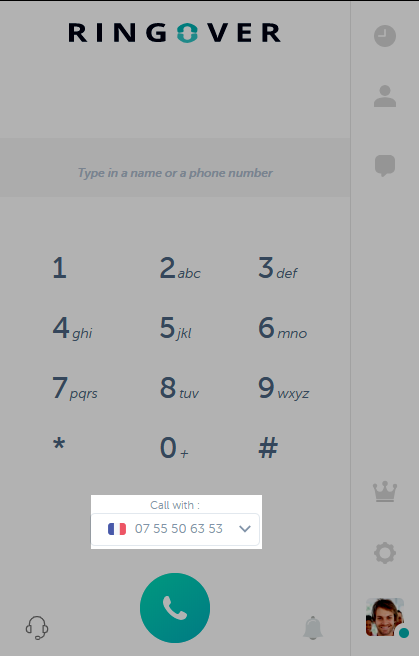 From the myringover.com interface, select the number you wish to use from the menu of the dialer and make your call. You can select a different number for each outgoing call. 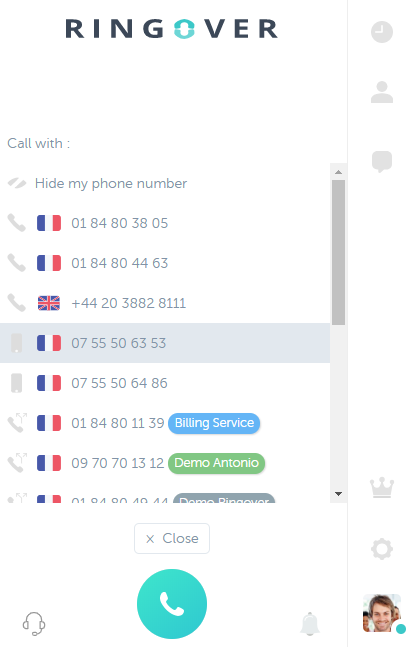 This function is particularly useful if you wish to make an international call with a number for the corresponding country. Note: You also have the ability to mask your phone number.